Streamline your processes and simplify your procedures with BambooHR's human resource information system. Our software allows you to quickly and securely organize your data in one easy-to-use system. 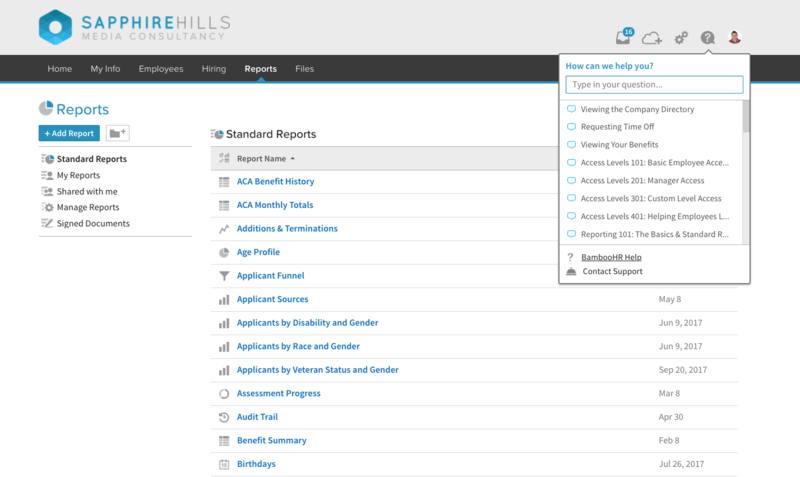 BambooHR's HRIS software is a breeze! 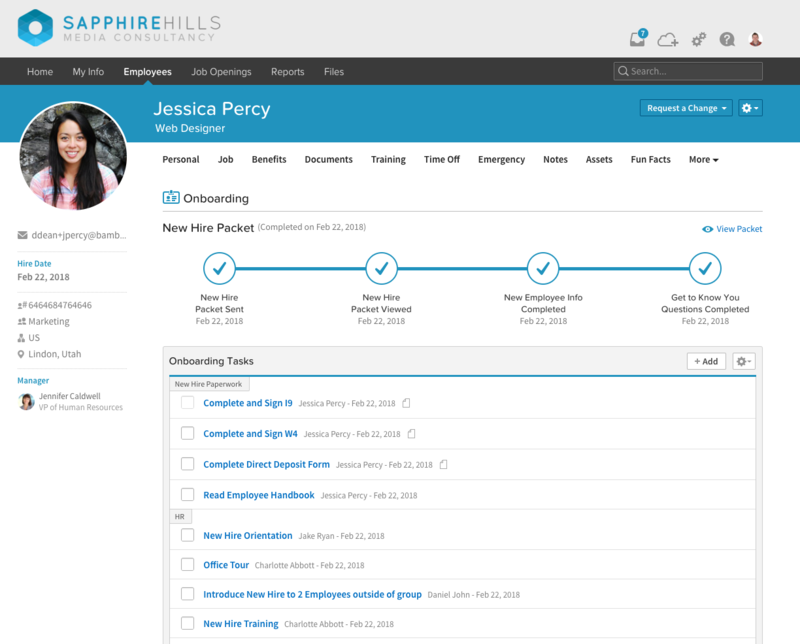 With Employee Self-Service, Manager View, customizations and absolutely fabulous reports, your human resource team will see major time and money savings. With real-time software, you can access current data from your HRIS software without worrying about inaccurate or old data. 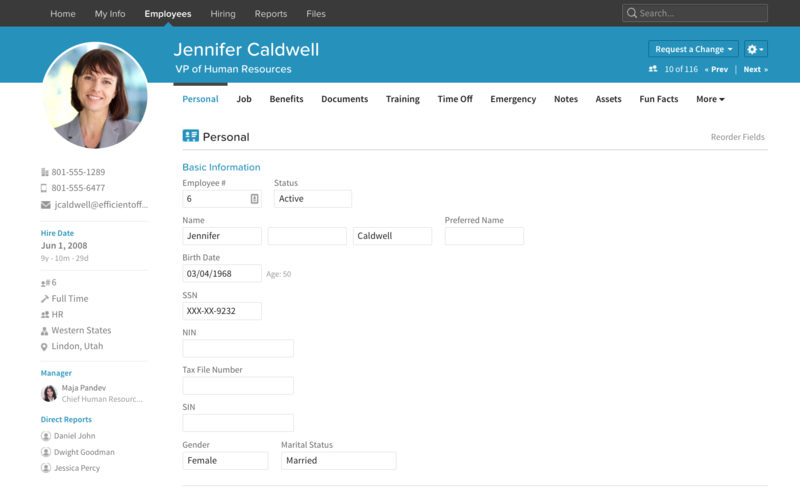 Get exactly the right data from your human resources information system, exactly when you need it. You don't have to be a big company to benefit from an online HRIS. Or to afford it. BambooHR's Software as a Service (SaaS) has just what small and medium businesses need. Wondering if an HRIS system is right for your business? There are many advantages to consider. First, HRIS systems allow you to integrate all of your data points in one place, allowing you to create more meaningful reports and analysis. Additionally, data accuracy is improved as organization is streamlined. Most importantly, HRIS systems free up HR professionals to spend less time on managing spreadsheets and more time on higher-level project management. Although BambooHR's software is very easy to use, we understand the importance of HRIS database training. That's why we offer robust online HRIS training and customer support every step of the way. Our video tutorials, forums, training webinars, white papers and dedicated customer support team work together to make sure you have a great experience with your HRIS system. We also offer custom training sessions and in-depth webinars to train your team on the BambooHR system. Check out our resource page for more info. Additionally, data accuracy is improved as organization is streamlined. Most importantly, HRIS systems free up HR professionals to spend less time on managing spreadsheets and more time on higher-level project management. While BambooHR is scalable for organizations of any size, the software is a great fit for small businesses. Any employee who's worked at a small company knows that you end up wearing a lot of hats. This is especially true for HR professionals. BambooHR's human resource information system allows small businesses to better allocate HR resources by eliminating the need for organizing and maintaining endless spreadsheets. Instead, spend your time on what really matters-helping people. 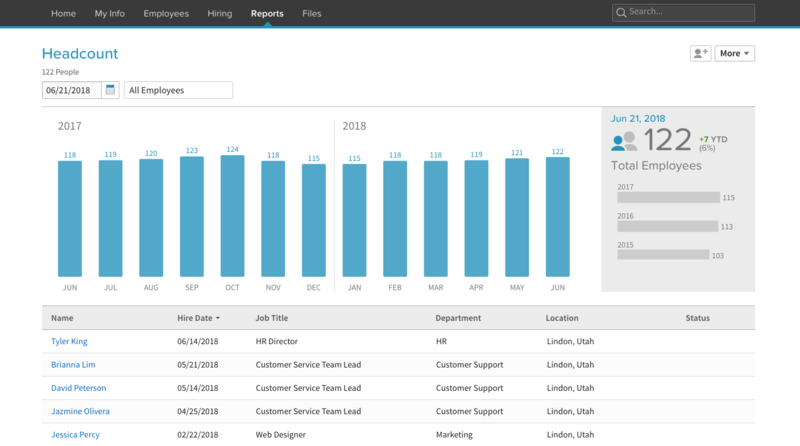 Access HRIS software built specifically to track HR information, such as personal data, PTO, employee training, job responsibilities, benefits, contact information, hiring checklists, documents and much more. 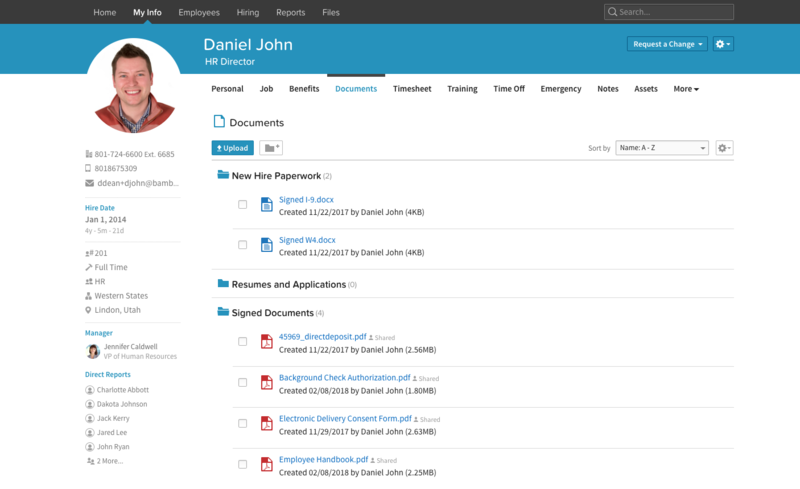 Want your employee database software to store records? Health forms, discipline records, performance assessments, certifications, driver's licenses and more can be stored. 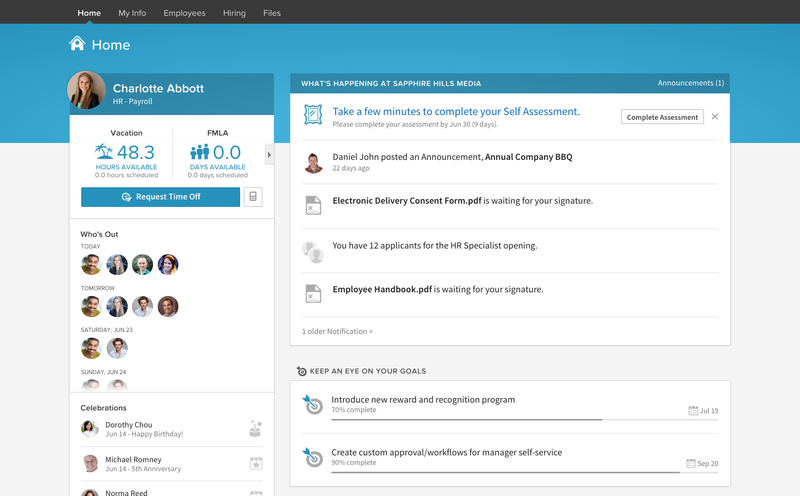 You can share documents like the employee handbook using Employee Self Service. It's a breeze. Customization of your human resources information system is easy! Set up your system in a way that's perfect for you. Finally, an HRIS software that doesn't give you a headache but takes the headache away. 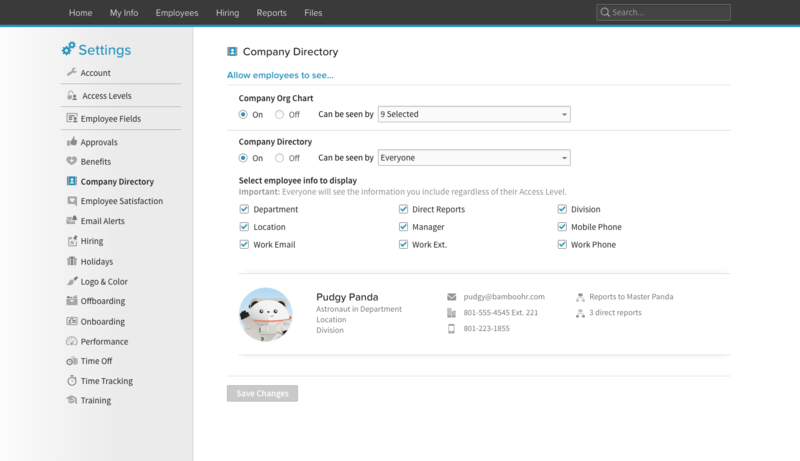 It's a one stop shop for all employee information, it is so organized and simple to use! The reports you can run for ACA reporting, just simply to see how many full time vs part time staff you have is so simple. It allows you to get an idea on your employee demographics and it enables staff to be in control of their information and have more access to what benefits they truly have. 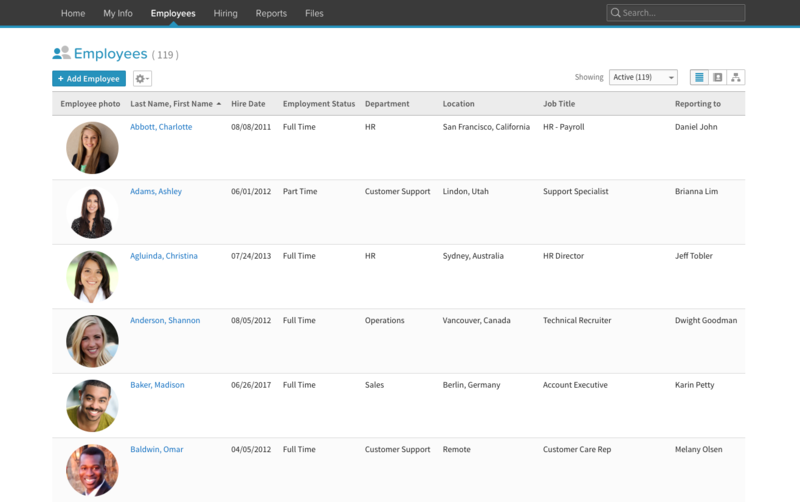 It also is so customizable you can add tables to fit your company's needs.